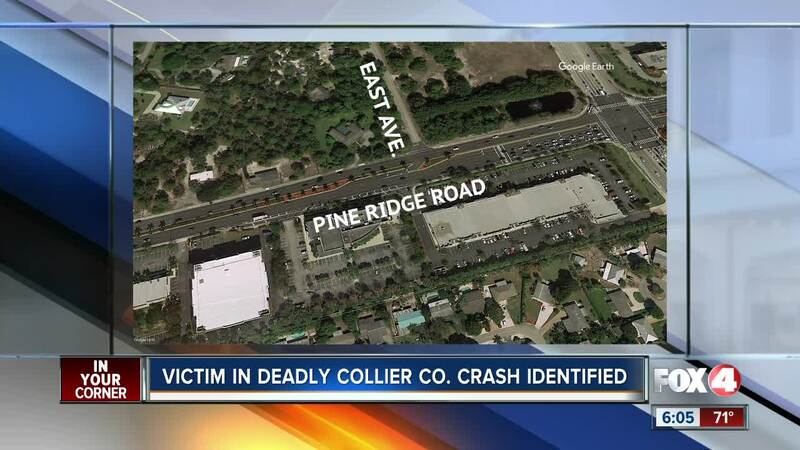 NAPLES, FLa. — Tonight a Naples woman is dead after a head-on crash in Collier County. FHP says Zachary Piscitelli hopped the curb on Pine Ridge road near East Avenue and then hit a car traveling in the opposite direction. 82 year old Carole Bullis was rushed to the hospital but later died. Piscitelli suffered serious injuries and two others had minor injuries. no word on if charges will be filed.